You are here: Home / Blogs / Videos / Does Creativity Thrive When IT Resources Are Limited? 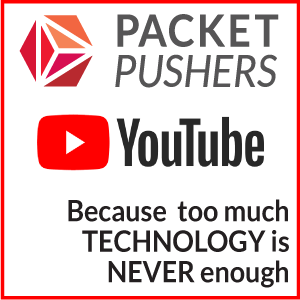 The Packet Pushers Virtual Design Clinic 4 held on March 14, 2019 featured an Ask Me Anything panel of industry experts. Enjoy their perspective on the question of whether creativity thrives in IT when resources are limited.